Unfortunately there is only rudimentary information about the concerts during these years. soldiers. Rehearsals were done on the balconies of ABBA’s appartments at Twiga Tower. Since 1974 it is part of the “forbidden area” and therefore abandoned. None of the ABBA members seems to remember any part of the set list for this concert of about 15-30 minutes. It presumably included a mix of various Swedish songs. Probably two songs were done together as ‘pre-ABBA’. 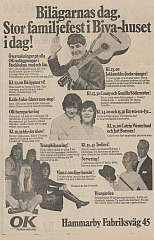 In late 1970 and in the spring of 1971 Agnetha, Frida, Benny and Björn toured with a cabaret show, Festfolk, accompanied by the dance band The Lolas. This show was about 45 minutes. ‘Festfolk’ means ‘party people’. There also was a joke about this name because when written as ‘Fästfolk’ it means ’engaged couples’. Rehearsals for this show began in September 1970 at the hotel (?) Sankt Jörgen. Before the start of the tour they appeared on the radio show Våra favoriter (taped September 29, broadcast October 3) where they performed Frida’s Barnen sover, Agnetha’s Som ett eko and Björn & Benny’s Hej gamle man! from their upcoming solo album. On October 21 or 22 the TV programme Five Minutes Saloon was taped (broadcast December 13) with them performing on the songs Red Roses For A Blue Lady (chorus only) and California Here I Come. And on October 29-30 this was followed by the TV show I stället för Tarzan (broadcast October 31) possibly performing Hej gamle man!. They usually performed on or around the weekends. According to Frida the audience varied from 14 to about 400. Especially the Festfolk shows were pretty disappointing and are remembered by the ABBA members as a big desaster, with people ordering their meals and raising their glasses to each other during the show. This is the low end of the collaboration between the four of us. [...] Because we were not doing what we were supposed to do. We were singing other people’s songs in a kind of cabaret act. Benny and I were doing a number where we supposed to be two little boys. [...] It was embarrassing, but it was after that tour that we realized, our own songs that's we should do. It was not a success, generally comprising of a thin spread of vapid jokes and other people’s songs. Luckily, the show was never recorded. This was when we learned exactly what we should not be doing. [Hej gamle man!] got absolutely the best audience reaction of all the numbers in the show. That’s when we really knew that we should concentrate on doing our own material in the future – it was a kind of turning point. 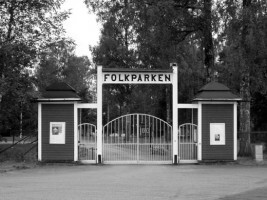 While Frida toured with Lasse Berghagen from May 1971 on, Agnetha, Björn and Benny did an own folkpark tour with 60 shows, starting on April 30. 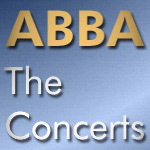 They performed cover versions and several of Agnetha’s songs during a show lasting for about 30-45 minutes, accompanied by Göran Lagerberg (bass) and Kjell Jeppson (drums). A 1971 summer tour with all four together may have been dropped because of the long time they already had spent and would spent together so closely, in private as well as on stage, which caused some stress and quarrels amongst them. Inbetween (on July 6) Agnetha and Björn got married, Björn & Benny worked on own projects and Agnetha recorded her album När en vacker tanke blir en sang during the tour. The show is sincere, simple and very “hit parade”. Agnetha Fältskog has more stage presence and sings more in tune now. Björn Ulvaeus got lots of applause for Hej gamle man and for his duets. As for Benny Andersson, he’s a real stage animal these days. But it looks like they’ve gone for the easy option. It’s a shame they don’t put more into different songs. Benny is one of our rare real composeres. Arga unga män, förenen eder! by the end of November this was replaced with the orignal version of Hej, gamle man! 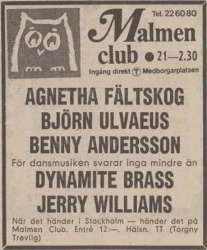 A couple of months after my début as a lyricist for stage shows I was contacted by Benny Andersson and Björn Ulvaeus and asked to write material together with Peter Himmelstrand for a show with four young musicians who already had made names for themselves. Benny from rock band the Hep Stars, Björn from the folk group Hootenanny Singers, and the singers Anni Frid and Agnetha who had great solo careers well under way. [...] I can still remember the way Björn and Benny looked when they performed "Arga unga män... / Angry Young Men, Unite!" dressed as small children from a daycare centre. A couple of years laters acts like this one would be impossible to furnish ABBA with, but it worked for Festfolk. 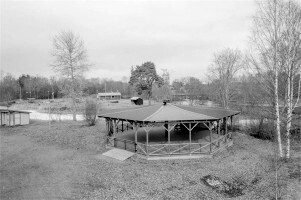 Several venues could be traced by old newspaper snippets or by recent media reports found online. Nevertheless these hints often are very few. Therefore information in many cases is incomplete or requires further confirmation. Click on an entry to open/close the window with details. Looks like ABBA made one performance in the basement, beginning of 1970. Does any of you have information about this? Has the ABBA story to be re-written regarding their first performance or would early 1971 just be more likely? Of course this concert wasn’t part of any tour, but it was the first concert ever featuring the four members together. All four were on vacation in Cyprus from April 5 to 16, 1970. 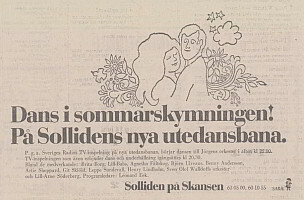 They had an advertisement deal for these holidays with the travel agency Fritidsresor and part of it was a concert for Swedish UN soldiers. Rehearsals were done on the balconies of ABBA’s appartments at Twiga Tower.Since 1974 it is part of the “forbidden area” and therefore abandoned. None of the ABBA members seems to remember any part of the set list for this concert of about 15-30 minutes. It presumably included a mix of their Swedish songs. Probably two songs were done as ‘pre-ABBA’. As I worked with Fritidsresor in Cyprus at that time I remember it very well. I was asked to be the conférencier and it worked out well. The four did their performance very well and when all seemed to end I turned to the four and asked them if they could do anything together. They talked to each other and finally they came up to perform all four together. It was fantastic to listen to all four of them together. All of us loved this performance. Many thanks to Goran for some detailed information and clarification. The premiere, at Tradgar’n restaurant in Gothenburg, saw a few scattered couples at tables in an otherwise empty auditorium. It could have meant a premature end for the budding ABBA quartet. Daylight outdoor appearance on a balcony of the Pettersson & Katz fashion store together with Lill-Babs, Siljabloo Nilsson and Lasse Dahlqvist, the audience was standing on the street below. Abba uppträder på Pettersson & Katz balkong en kall novemberdag 1970 tillsammans med Lill-Babs, Siljabloo Nilsson och Lasse Dahlqvist med sina luciaflickor. Description of a picture showing Agnetha and Benny, listed at the Swedish photo agency Kamerareportage. For the concerts at Strands Cabaret in Stockholm the original version of Hej gamle man was added to the set list which was a big success. We included that song in our wretched show when we took it to the Strand in Stockholm and it got absolutely the best audience reaction of all the numbers in the show. That’s when we really knew that we should concentrate on doing our own material in the future – it was a kind of turning point. Then we decided to take our show to Strand in Stockholm, and started using Björn and Benny’s Hej gamle man (Hello Old Man), from their album Lycka (Happiness) [...]. A song from Frida’s album, Tre kvart fran nu (Three Quarters Of An Hour From Now) lifted things, too. Frida and I really pushed Hej gamle man and it became a hit as soon as it came out. “Party people” is called December’s cabaré at restaurant Strand in Stockholm. Fortunately, fortunate people are happy – or should be – fortunately, the two couples who show this show are: Annifrid Lyngstad and Benny Andersson, Agnetha Fältskog and Björn Ulvaeus. So inside watery happy. There is a heavy air of Santa Claus over the fine gold hook. Had this show continued a quarter of an hour, I would have needed a bittern to not shout loudly. It is a shame, for all four of the people involved should have much more to give than to stand as a shovel gets in this idyll as gall-brittle. Though Björn and Benny have some of their own songs, and it helps up some, but not everything. gone”. It could have become sticky and clumsy, but instead it was unsentimental and delicate in the right way. The same brave joke takes for the background orchestra The Lolas. No, this is not a background orchestra: it has been a long time since I heard such a versatile and broadly impressive orchestra of this kind. The popular musical sector: jazz, Glenn Miller, evergreens, ultramodern bluespop etc., this band and Annifrid Lyngstad were the evening’s hold. “Festivals” they call themselves – four young people who joined forces for a show at Strand’s cabaret. The couples are Agneta Fältskog and Björn Ulvaeus, Annifrid Lyngstad and Benny Andersson. They perform themselves sweet, young and unmade. Something really bite in part will not be done yet, but it is not directly boring either. It is the old common story that it takes a certain time before the really young people in the game learn that show business is among the hardest that exists and that basket show business is even more difficult. They are on the right path, I think, when they mix up the sweet of young or bittersweet love filled with the hands of more handsome songs such as “Angry Young Men Unite You” which is really about the very small children’s problems with kindergartens and anything else. Sometimes they understand from their arrangement that they feel more in music than they dare to show. A little more courage and thus much more training in the scenic performance! I think so. But the audience was completely satisfied with the whole thing as it was and that is the main thing. Until further notice. as Hej gamle man was inspired by the story of a salvation army member in Västervik some salvation army members joined ABBA for the chorus. It was an incredibly warm and saturated atmosphere when the song was performed in the context and many were touched by the performance and the background to the song. and others – usual set list as in the Festfolk shows? The cute quartet who, in autumn and winter, pleased the crowd around Sweden has now burst a bit: Annifrid Lyngstad travels this summer with the Lasse Berghagen Show instead. But the other three hold together. Most of the material has been heard before, only a new song has been added for this tour, a kind of Swedish song called “Svea”. The show is quite simple: in half an hour, the trio is able to tear off eight songs in a fairly quick succession, with Björn Ulvaeus as a small-talking central and midnight figure. successes. Her voice, however, is a bit difficult to achieve sometimes. Competences consist of Kjell Jeppson, drums, and on bass Göran Lagerberg, born Tages and Blond. In Alingsås about 900 people listened. Everyone participated in the notes, especially when it was time for “Hej, gamle man”. The trio travels this summer only during the weekends. Some 60 places are visited. This venue still needs to be confirmed. Information refers to a picture of Agnetha leaving a tour bus. The description says ‘May 1970’, so either this is wrong and it actually must be 1971 or it was a solo concert. Articles by Kristianstadsbladet mention a concert of ABBA at Åhus though. Skutskär and Gävle some of these venues?